The Hall of Fame released a statement this morning regarding one of their own, Harmon Killebrew. I can’t imagine what it must be like to pen something like this, but it certainly shows a level of class and dignity rarely seen in the world. In fact, few people ever get the opportunity to share a thought like this with so many and therefore, it was worth sharing with you all. 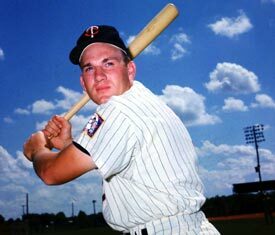 Anyone who has grown up as a baseball fan has heard about Harmon Killebrew and anyone I’ve ever spoken to who knows him says he was the ultimate gentleman. The way he has handled the most difficult situation in his life certainly confirms that for anyone who has never met him. All of us at the Dodgers wish him and his family the strength they’ll need in the coming days and weeks to deal with this very sad news.